Crime Clusterf@$k/Political Pantomime 20 months! The Govt celebrating Kamla's UNC elections victory with a fete using tax payers $$$$ tonight. Miss ah fete? Never.... No effort to solve crimes properly or clean up the judicial process...but we hanging! 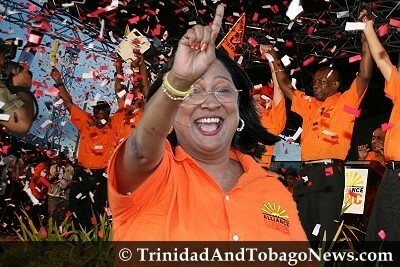 Kamla Miss-Lie, Mis-Spoke, Mis-Accuse and Mis-Fire to the tune of $1m. This govt costing us more $$$$$ than they making! The Russians are coming...is not enough they running casinos here, now they running steel mills.... Something Smelting Bad! Is it any wonder Manning had a stroke?